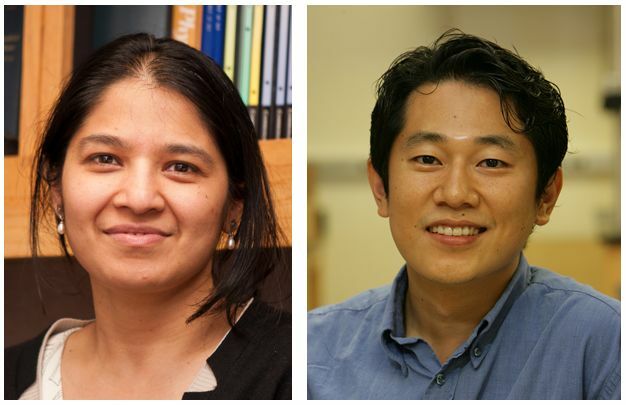 In Nature Immunology faculty members Sonal Srikanth and Yousang Gwack report a new role for a Ca2+ sensor molecule (STIM1) to keep the immune system in check by retaining STING (stimulator of interferon genes) in the ER. Dr. Baljit Khakh has been named an Allen Institute Distinguished investigator. Dr. Khakh and his laboratory team will study the suite of genes each astrocyte turns on or off, cell by cell, in an attempt to dispel the myth that all astrocytes are created equal. 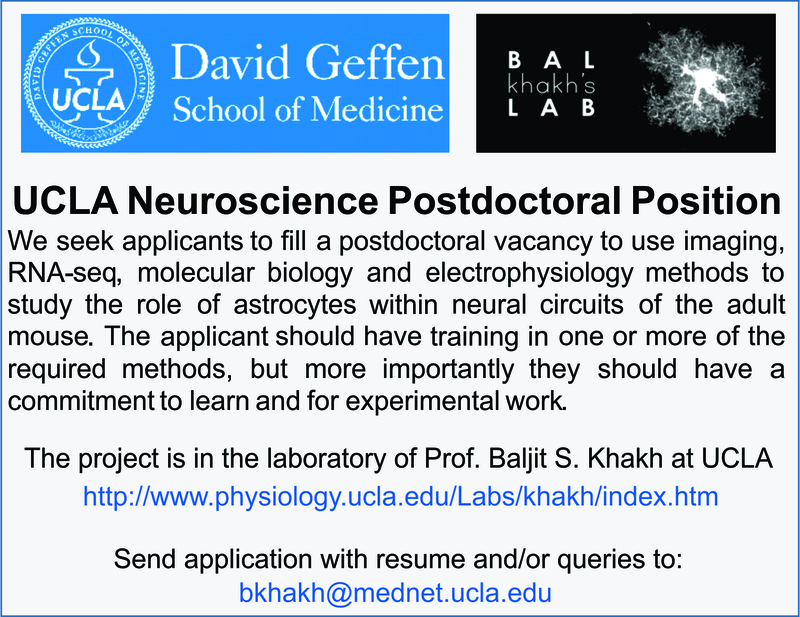 They will ask how astrocytes influence nearby neuron activity using novel methods created in the Khakh lab. Dr. Tamir Gonen, an electron crystallography expert at UCLA, teamed up with colleagues, along with Brian Stoltz at Caltech, to see whether the Gonen lab’s electron microscopy imaging methods would work with smaller organic molecules. The California team reported it worked nearly every time, delivering a resolution on par with x-ray crystallography. Scientists say the new technique could revolutionize fields both inside and outside of research. 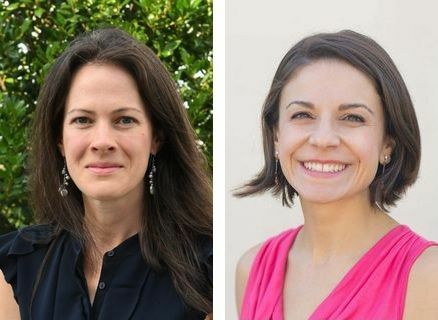 Please join us in welcoming Assistant Professors Lindsay De Biase, Ph.D., and Laura DeNardo, Ph.D., to the Physiology team!